Buy this special offer ticket to enjoy your club night with an authentic Italian Pizza and a Drink for just p5! Nathan Dawe is a multi-genre selector and producer who’s currently making a name for himself on the UK’s electronic scene. Having played at some of the most renowned spots in the country from Motion Bristol to Birmingham’s MADE Festival, Nathan plays his first London show of 2019 at the club on 26th April. 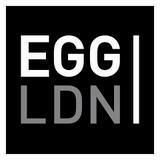 returns to Egg LDN for another session of euphoric melodies all night. As one of Ireland’s finest live techno producers, Matador returns to the club on 4th May for another scintillating live set in our Middle Floor. With his acclaimed RUKUS imprint, the Irishman has released a plethora of his own work as well as releases by OC & Verde, Joran Van Pol, Carlo Ruetz and many more since launching the label back in 2016. It’s almost two years since our last gathering at Egg, We all shared so many great... memories at this venue, so you know this is going to be an extra special for all of us.